NASHVILLE — Vice President Mike Pence will be in Chattanooga later this month to boost Republican U.S. Republican Senate candidate Marsha Blackburn in a fundraiser. 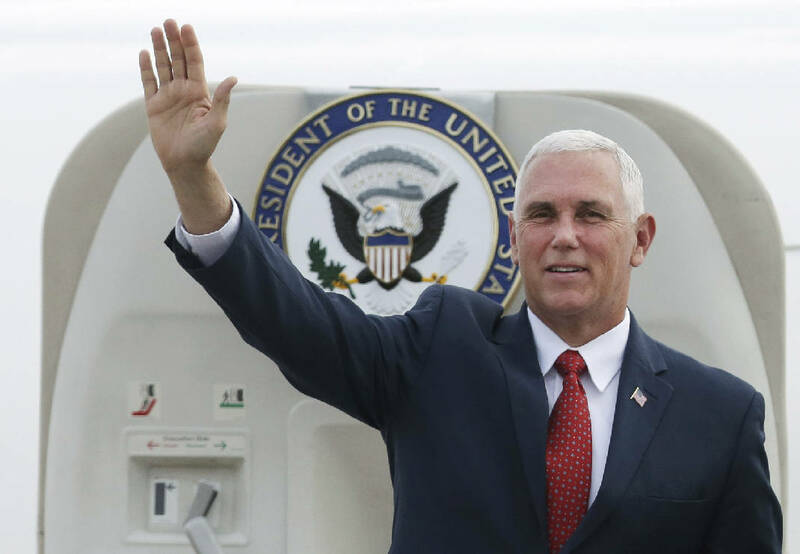 Blackburn spokeswoman Abbi Sigler said the campaign is "excited to welcome Vice President Pence back to Tennessee, and we are so grateful for his support as Marsha works to take their shared conservative values to the United States Senate." Tickets for the July 21 event range from $1,000 per person to attend the reception featuring Pence up to $25,000 per couple to join a roundtable with the vice president as well as get a photo with him and attend the general reception. Couples attending the Chattanooga event also can go for a mid-range price point, paying $10,800 for two attendees to attend the reception and have their photo taken with the vice president. All contributions go toward the Marsha Senate Victory Fund, a joint fundraising committee comprised of Blackburn's Senate campaign, the Tennessee Republican Party's for its federal campaign account and the National Republican Senatorial Committee. Blackburn is expected to face former Tennessee governor and Democrat Phil Bredesen in the Nov. 6 race to succeed retiring Republican U.S. Sen. Bob Corker of Chattanooga. Neither Blackburn nor Bredesen has major opposition in their respective primaries. While Corker has endorsed Blackburn and contributed to her campaign, the one-time Chattanooga mayor and former state finance commissioner has said he won't campaign against Bredesen, a former Nashville mayor, whom he considers a friend. The two have worked together on projects ranging from recruiting the Houston Oilers NFL franchise to Nashville in the 1990s to persuading Volkswagen in 2008 to locate its U.S. auto assembly plant in Chattanooga. President Donald Trump, with whom Corker has quarreled on a variety of issues, has been more forceful in his support of Blackburn, coming to Nashville for a May rally where he denounced Bredesen and earlier attended a fundraiser for the Brentwood Republican. With Republicans holding a narrow 51-49 margin of control in the Senate and public polling showing a close contest so far, Tennessee is seen as a potential battleground in the November national mid-term elections.